Hey, hoops fans: are you in the mood to play a little ball or cheer on your favorite team to victory from the sidelines? Whatever the case, you’ll be perfectly stylish while paying homage to your favorite teams. If you’re a basketball fan or just interested in the latest fashion trends, you’ll want to check out the following looks I’m sporting. 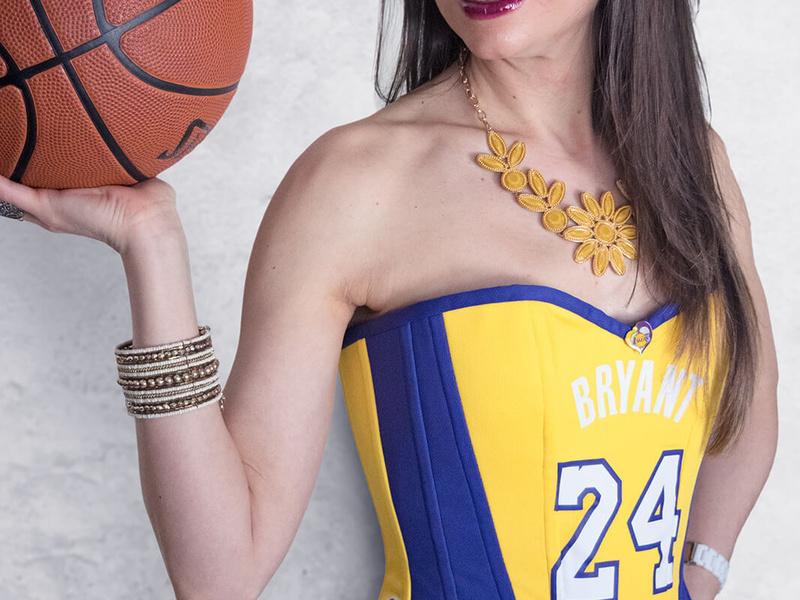 Drawing inspiration from the hottest professional basketball players, I show you how you can effortlessly style these corsets like a champion. However, that doesn’t mean I only pair them with stretchy pants and workout gear. Instead, I’ve figured out how to wear these corsets in a way that rings true to my personal style. Do you want to know my secret for making this work? I leveled up my designs with an athletic edge, athleisure details and other attention-commanding touches that score serious points. So it’s time to step it up, fashletes: athleisure has gone haute and it’s time to make a courtside statement! 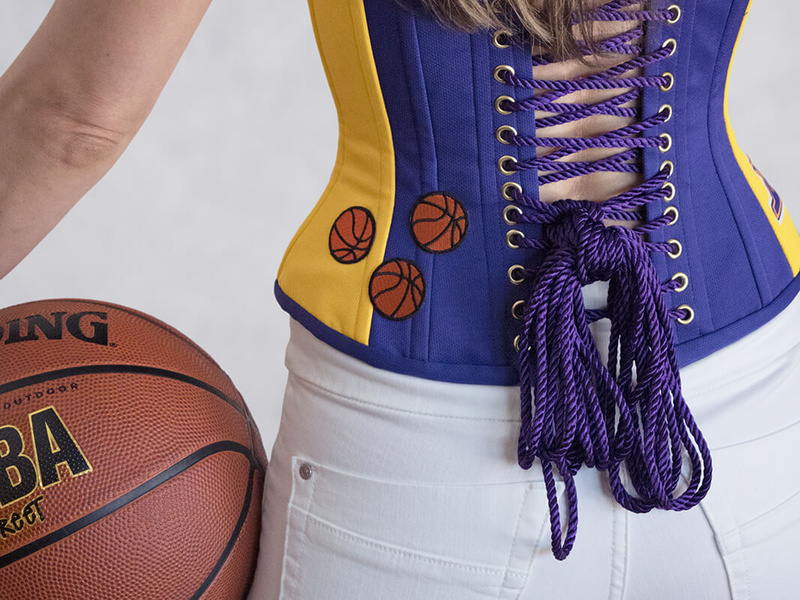 Whether you’re watching from home or snagged front-row tickets, here are two slam-dunk ways to style our new collection of basketball corsets. 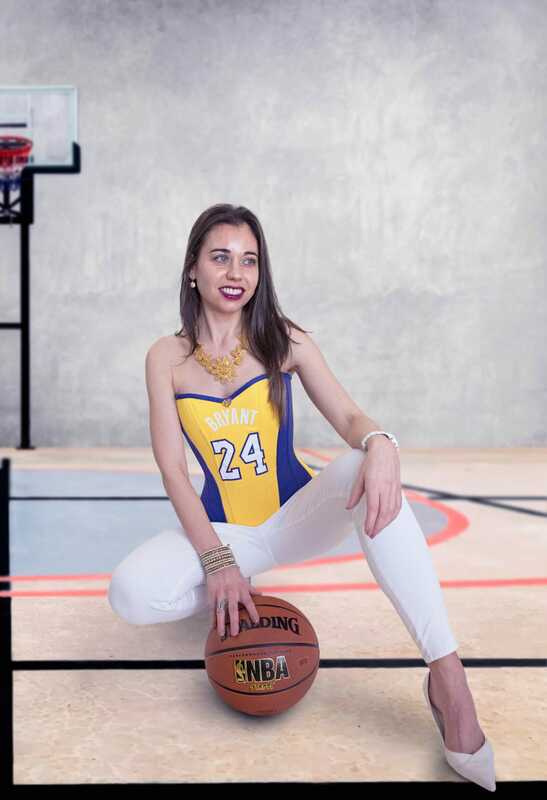 I designed and styled my Michael Jordan corset with more of an athletic vibe by pairing it with fashionable exercisewear that’s worthy of both the gym and your local café. Wearing activewear as a fashion statement has now been transformed into an altogether more wearable yet stylish trend straight off the runway (with zero intention of getting hot and sweaty in). ,,Whatever your style, you can adapt this trend to suit you and your lifestyle! Athleisure, on the other hand, is a wearable take on this street style trend, which borrows from the world of sports with no inherent technical function. 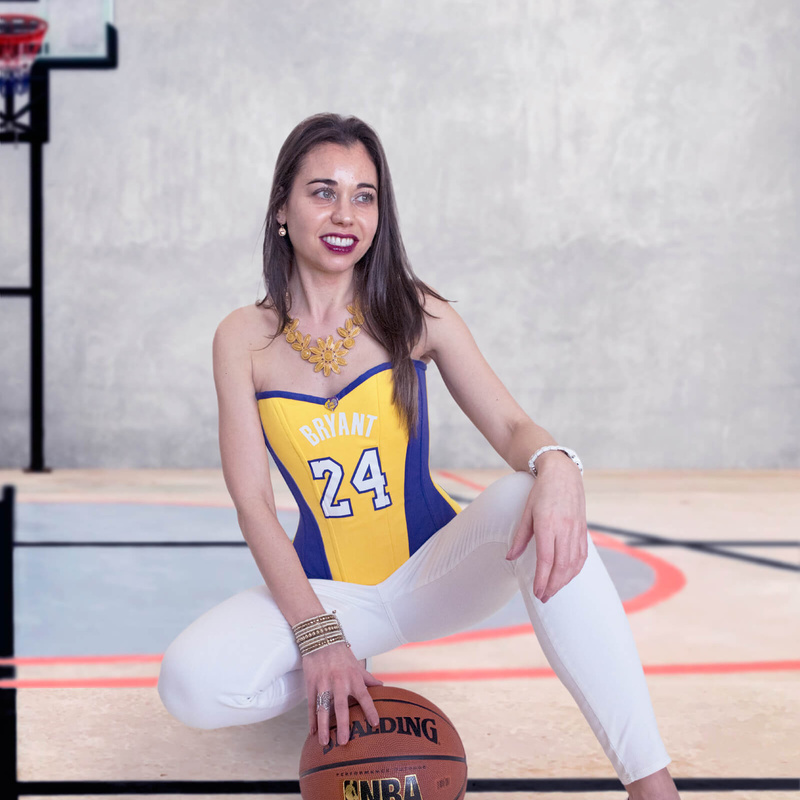 My Kobe Bryant corset is designed and styled with more of an athleisure vibe by merging the sporty with the urban, resulting in a casual daywear look that’s both practical and stylish. Perhaps the greatest aspect of athleisure is how open to interpretation it is by seamlessly blending my sporty corset with straight leg jeans, heels and statement jewelry. 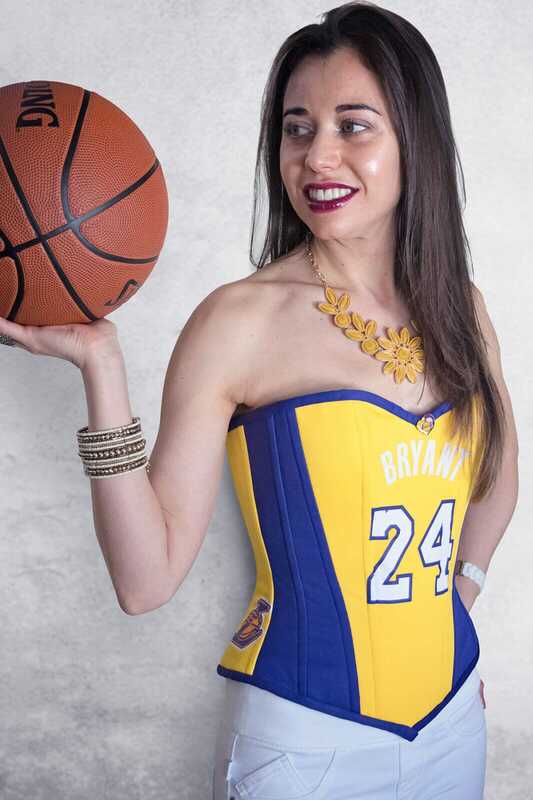 So go ahead and rep your favorite basketball players and teams the right way with these corsets, inspired by the on-court jerseys your favorite players wear on the hardwood. These corsets offer an iconic look that borrows inspiration from team history and unique aspects of each city. It’s the perfect game-changing look to dress like a pro and make moves! Whatever your style, you can adapt this trend to suit you and your lifestyle!